1. The pill shower. Next to our stove we have a funny shaped little dish. It usually contains some real treasures. It is where my wife puts her supplements for the day. There will be vitamin C for the immune system and various B vitamins for energy levels, and perhaps some fish oils for joint and heart health. Every one of those pills has real value for health. Let’s say I come home from work and join my family at the dinner table. We pray and then my wife unveils the meal for the day – a randomly shuffled assortment of vitamin pills from the funny little dish! Sustainable for long-term health and growth? Hardly. But is this not the way some of us preach the Bible to people in the church? An assortment of truth nuggets randomly assorted and presented in some manner as a “healthy diet”? 2. The meal. A meal tends to consist of a restricted number of elements carefully prepared and served in an appropriate order and combination. A meal can be healthy, or unhealthy. It can be gourmet or a highly processed “ready meal.” Oh the potential points of connection are multiplying! Preaching a meal means preaching a passage or a small combination of passages, rather than assorted truth nuggets from all over the place. It means thinking about who you are preaching to and what they might need, rather than a standardized packaging of recommended daily allowance supplements. It means building long-term health and growth and even taking issues of satisfaction into account (although not exclusively, of course, or they may get a case of itchy-ear-itis). 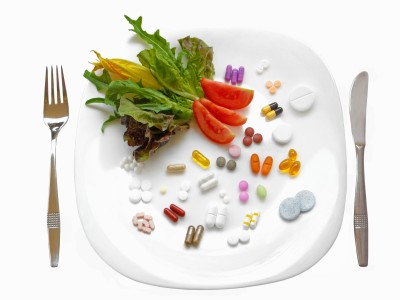 Meals tend to be different each time, whereas a diet of supplements would always feel the same. Let’s preach meals, seems like a proven and healthy approach to feeding folks. I’ll let you ponder the multiplying analogies. . . do you preach fast food, pre-packaged or home-cooked, etc. ?